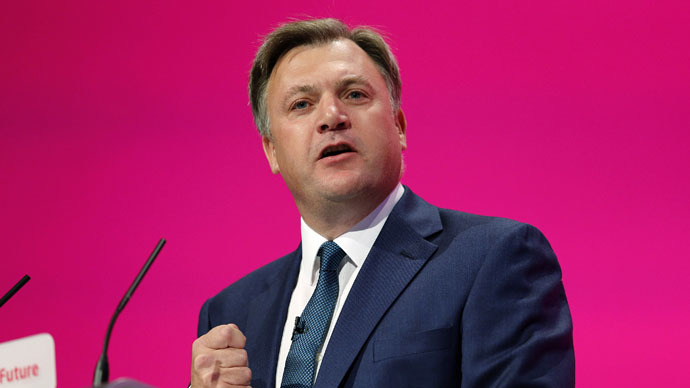 Labour will not reverse billions of pounds worth of spending cuts introduced under the current coalition to Britain’s police services, hospitals, local councils and the military if elected in May, Shadow Chancellor Ed Balls has confirmed. Should Labour win the general election, the cuts Balls supports would slice a further £3.3 billion from local authorities’ already beleaguered budgets, take a further £700 million from the salaries of members of Britain’s armed forces and shave a further £400 million off the government’s NHS expenditure. Balls admitted his party would pursue this path of austerity, in the wake of a heated row over a Conservative Party dossier that claimed Labour had committed to spending billions of pounds more than a newly elected government could afford to in the next parliament. The 82-page dossier, which scrutinized Labour’s spending commitments, suggested Ed Miliband’s party wanted to spend an extra £21 billion in its first year in power. Chancellor for the Exchequer George Osborne unveiled the controversial document on Monday as Britain’s general election campaign battle officially began. The Shadow Chancellor hit back at the Conservative attack of Labour’s economic credibility, arguing his party could not commit to overturning Britain’s public sector pay freeze or reversing council cuts in the first year after the election. Balls acknowledged his pledge to spend no more than the Conservatives had proposed for 2015-16 would be potentially unpopular with voters. But he stressed the Tory dossier’s suggestion that a Labour government would ramp up an extra £21 billion in spending in its first year in government was politically motivated “smear analysis” based on errors and fabrication. Balls clarified in the document that Labour ministers’ criticism of crippling public sector cuts didn’t necessarily signal their reverse in 2015-2016 under a government led by Miliband. The Shadow Chancellor said he couldn’t pledge to reverse cuts to local authorities' budgets or offer public sector workers a rise in salary higher than the 1 percent already due to come into force in spring 2015. Labour had, as an opposition party, previously criticized the controversial pay freeze. The party has confirmed, however, it will back higher increases in salary for members of the armed forces, NHS workers and other public sector staff if secretaries of state can find a means of funding them by implementing cuts elsewhere. If victorious in the upcoming general election, Labour has also promised to fund an extra 20,000 nurses and an additional 8,000 doctors with £2.5 billion generated through a ‘mansion tax’ and a levy on tobacco companies. Balls statements came after a bruising first day of Britain’s general election battle. While the opening of the campaign kicked off with a lofty speech by Labour leader Miliband, promising “hope, not falsehood,” it soon descended into a bitter Conservative-Labour row amid heated allegations of duplicity, lies and dirty maneuvers. 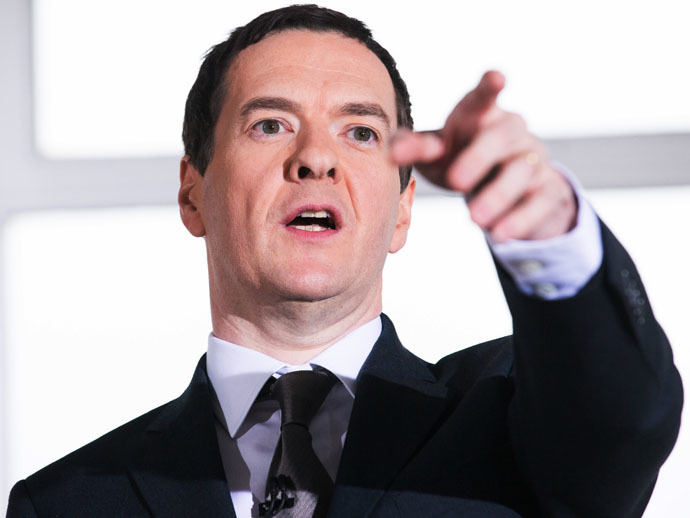 Chancellor George Osborne claimed his dossier drew from official Treasury figures and “other reliable sources.” But it later emerged the assumptions central to the document were offered by Tory advisers and the policies scrutinized stemmed from Labour commitments, ministerial comment and unfounded predictions. Speaking to RT, UK economist and anti-austerity campaigner Michael Burke said Labour has vowed to persist with “Tory spending plans early in the next parliament” with a view to balancing Britain’s budget before 2020. Burke, who supports UK campaign group the People’s Assembly Against Austerity, warns the next government must take strident steps to address Britain’s ongoing economic crisis. Burke argues further austerity under a Labour government would be irrational, and would compound the state’s economic turmoil. As the general election battle continues, the most recent YouGov poll indicates Labour are leading (34 percent), the Conservatives are a close second (31 percent) and UKIP are third (14 percent). Meanwhile, the Green Party (8 percent) have pushed the Liberal Democrats into fifth place (7 percent).